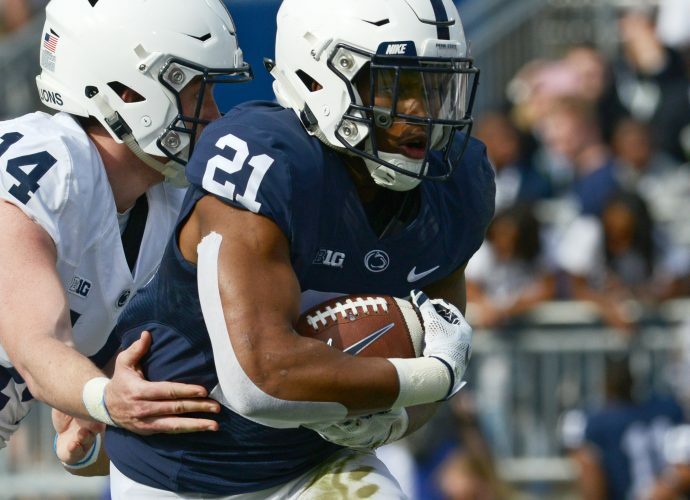 UNIVERSITY PARK (AP) – Eighth-ranked Penn State transformed from rebuilding project to Big Ten bellwether during Alex Bentley’s four years in Happy Valley – though one big goal remains elusive. One last chance for Bentley and her fellow Lady Lion seniors to win the Big Ten tournament that begins this week. Penn State is the top seed after winning its second straight regular-season title. The Lady Lions, along with the other top four finishers – Nebraska, Purdue and Michigan State – get first-round byes, meaning those teams get an extra day of rest while the rest of the league opens play Thursday. But Penn State has been the class of the league all year. Coach Coquese Washington’s team seems to have the ingredients for a long postseason run: a veteran and explosive backcourt led by Bentley and the conference player of the year in junior Maggie Lucas; a deep roster that gives Washington the flexibility to play any style. The difference this season might be defense. The league’s top-scoring offense (74.4 points) is complimented by a scoring defense that’s fifth in the conference (58.7 points). Penn State also leads the league in rebounding (41.6 per game) and is second in steals (11.6). Washington didn’t want to talk about NCAA seeding this week, choosing to focus only on her team’s next game – either Minnesota or Ohio State on Friday. But Nebraska coach Connie Yori wasn’t shy in saying the Lady Lions had a “legitimate shot” to break through into the NCAA national semifinals. The Lady Lions beat the Cornhuskers 82-67 in Lincoln on Sunday to prevent Nebraska from claiming a piece of the conference title. The Lady Lions haven’t won the Big Ten tournament since 1996. Penn State was the second seed two seasons ago and lost to top seed Ohio State. Last year, Bentley and her teammates were the No. 1 seed but fell in the semifinals to fourth-seeded Purdue. “It’s tough. You’ve just got to make you get the rest, and your conditioning recovery kicks in,” Washington said. “The positive thing is everybody” also has to go through the same grind. Maybe a change of venue will help the Lady Lions. The tourney is moving to the Hoffman Estates, Ill., in suburban Chicago, following a 12-year run in Indianapolis. Perennial upper-division team Ohio State is the ninth seed, its lowest in more than a decade. Nebraska, the only other Big Ten team in the AP Top 25 at No. 21, is the second seed. But that doesn’t mean the Big Ten is down this year. The conference has the second-highest RPI in the country behind the Big 12. Penn State’s only two conference losses came on the road against Wisconsin (11th seed) and Minnesota (eighth seed). Purdue coach Sharon Versyp said the balance in the league is in part due to more familiarity in the coaching ranks. Yori led the Cornhuskers to a second-place finish in her second year in the league, after the Cornhuskers finished sixth but advanced to the tournament title game in 2012. Versyp, Washington and Michigan State’s Suzy Merchant are among a group of coaches who joined their respective teams within the last five to seven years. While teams in the league might beat up on each other, that competitiveness should serve Big Ten teams well when it comes time for the NCAAs, Versyp suggested. The Big Ten’s best chance for breaking through in the NCAAs this year might be Penn State. The Lady Lions are 5-1 against Top 25 teams – the only loss at No. 3 Connecticut. They followed up their worst defensive performance of the season, an 89-81 loss at Minnesota last week, by finishing off Nebraska. Washington credits her star guards with keeping the team loose but focused on the road in big spots, thriving on the big stage. “They’re a bunch of hams! They like a crowd, they like a show. They’re theatrical,” Washington said. Bentley and Lucas play the starring roles.